Audio CDs and Audio Cassettes featuring bands and music of historical interest and significance to Lawrence County in Western Pennsylvania. To order, use our Add to Cart buttons! To order, click on ADD TO CART button. Shopping Cart will display at top of page only when items have been added to the cart. Items also available for purchase at our on-site Gift Shop. Shipping fees are valid only to USA addresses. If shipping to a foreign address, we reserve the right to charge additional shipping fees (please contact us first). 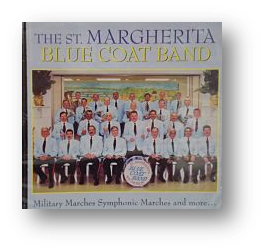 The St Marcherita Blue Coat Band was organized in 1950 for the purpose of playing the annual Feast in Mahoningtown, Pennsylvania. The St Margherita Mutual Beneficial Society provides their rehearsal hall, music, uniforms and any other monetary support. 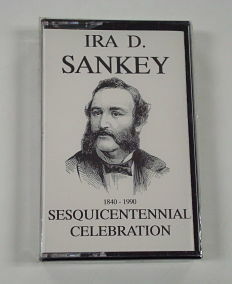 Please note that the Ira D. Sankey Sesquicentennial Celebration program is currently only available on audio cassette. Choral music recorded in New Castle, Pennsylvania. 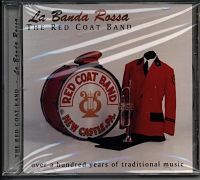 Audio CD Played by an Italian ethnic band from New Castle, Pennsylvania which was originally formed in the late 1880’s. This all volunteer band plays over 100 years of traditional music.